The National Union of Teachers (NUT) has been slammed for appearing to support an event where speakers were expected to defend the Trojan Horse plotters and argue the scandal was part of an anti-Muslim conspiracy. 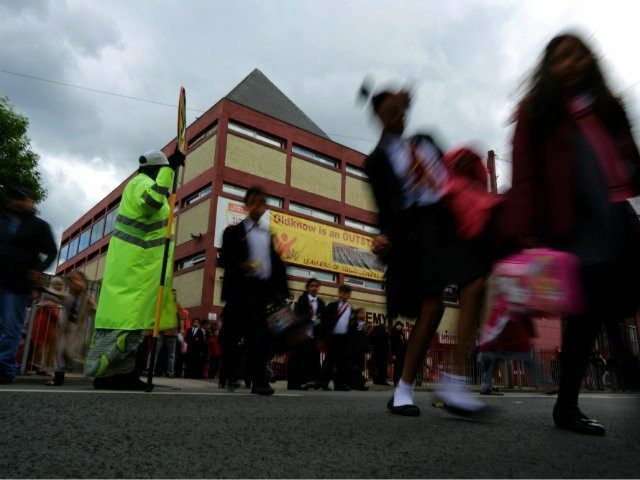 The event – titled “Trojan Horse: The facts!” – was attended by the NUT’s general secretary Kevin Courtney, as well a journalist who argues it was “a lurid figment of the neo-Conservative imagination,” and the banned former school governor at the centre of the scandal. The event was organised Friday night by Muslim lobby group Mend, who have been described as “Islamists posing as civil libertarians” who have promoted “extremism” and even justified attacks on British troops. UKIP’s Education Spokesman, David Kurten, told Breitbart London: “It is gravely disturbing that members of the country’s largest teaching union are thought to be joining MEND at a conference where speakers are expected to defend the Trojan Horse plot. He added: “The members and executive of the NUT should think long and hard before participating in this conference. The “intolerant and aggressive Islamic ethos” brought into schools included girls and boys being separated, “un-Islamic subjects” such as evolution reduced or removed, and secular head teachers bullied from their jobs. Some of the teachers involved were also linked to a WhatsApp group called the ‘Park View Brotherhood’, which included anti-Semitic ideas and comments offensive to the murdered soldier of Lee Rigby and victims of the Boston Islamist bombings. These claims are demonstrably misleading as the school at the centre of the scandal, Park View, has markedly improved after a change of leadership was imposed. One speaker at the event is Professor John Holmwood, who has said that official accounts of Trojan Horse provide a “false narrative” being used to “criticise multiculturalism”. An unnamed source who works in counter-extremism among Muslims told the Telegraph the event is “extremely concerning”. “This is exactly part of the narrative to create a deep sense of victimisation within the minds of Muslim communities rather than supporting confidence within institutions and structures of our country,” they said. The NUT did not address concerns about Mend’s allegedly extremist views when asked about them specifically but confirmed to Breitbart London that NUT general secretary Courtney will speak at the Mend event.